Let the overeating and mindless snacking commence. 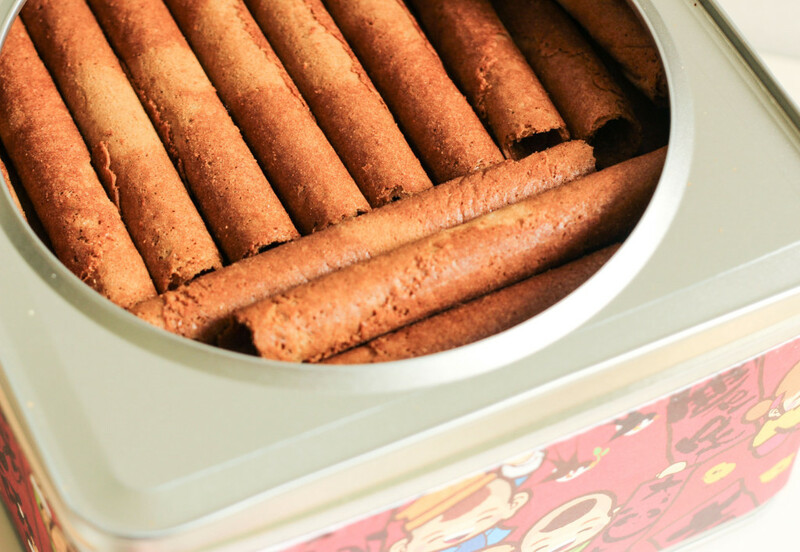 $18.80 per tin | Available at Takashimaya Chinese New Year Fair (runs until 6 Feb) or online. 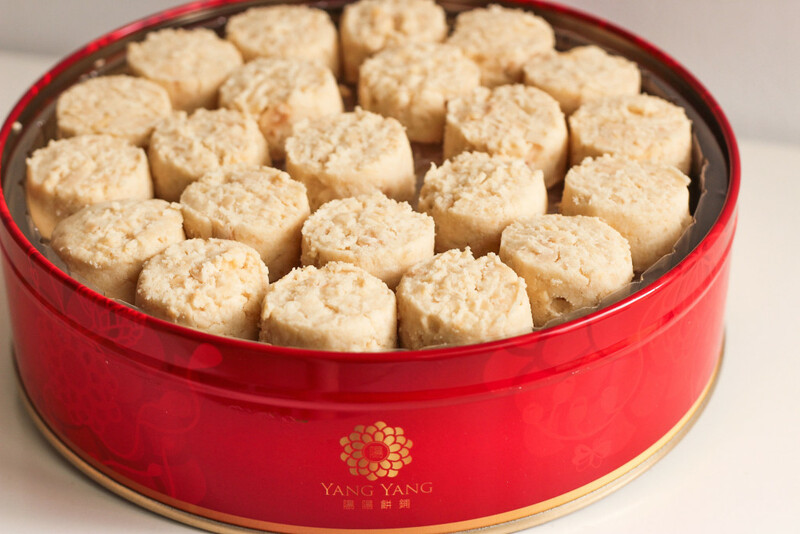 Yang Yang has no shortage of delectable Chinese New Year goodies, but their Almond Cookies are a must-try. 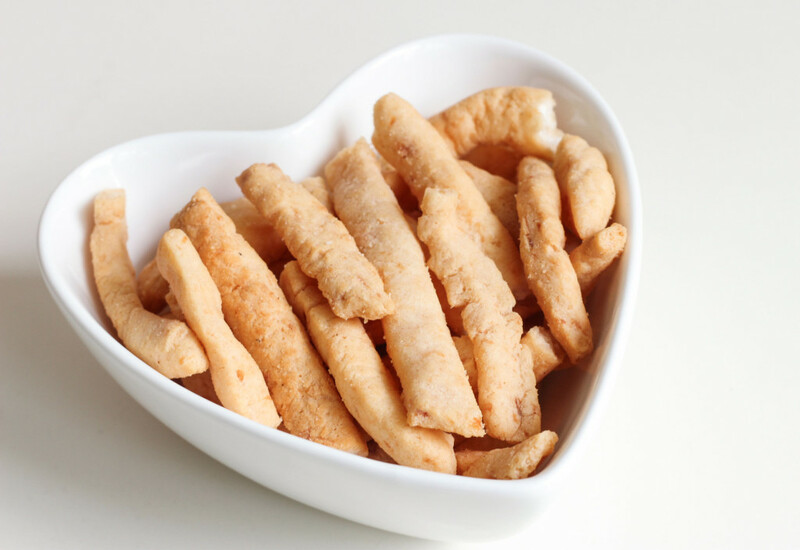 Some Almond Cookies tend to be more crunchy than crumbly, but Yang Yang’s version is similar in texture to Sugee cookies (read: melt-in-your-mouth buttery goodness). The cookies are also just the right amount of sweetness, with crunchy almond bits mixed in for some texture. Don’t be surprised if you pop more than just a few of these in a sitting. 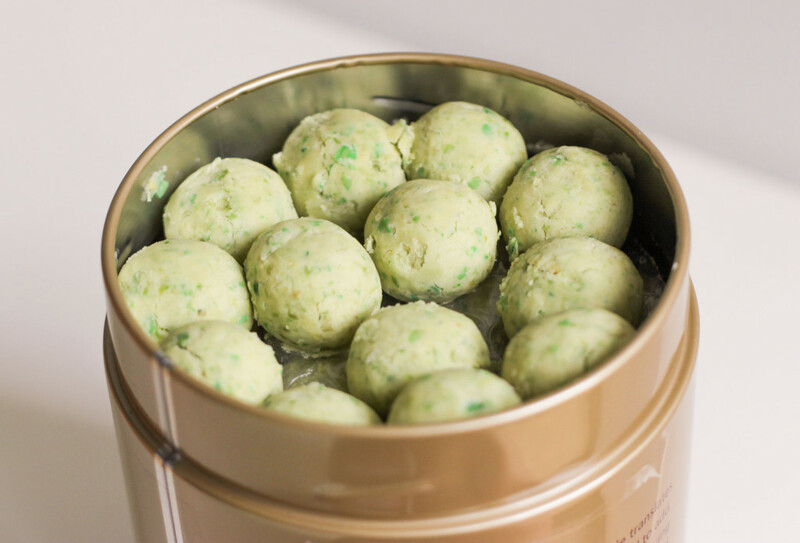 Yang Yang also does some really good Green Pea Cookies, which we featured in last year’s list. $16.90 per tin | Available at Takashimaya Chinese New Year Fair (runs until 6 Feb) and these locations, or you can place an order online. KELE has always been known for Pineapple Tarts, but it’s their Green Pea Cookies we’ll be munching on this Chinese New Year. Green Pea Cookies may not look (or sound) very appealing, but they are in fact dangerously addictive – especially if you like Sugee cookies. The greenish cookie balls have the same melt-in-your-mouth texture as Sugee cookies, but perhaps not as cloying and with a bit more crunch to them. 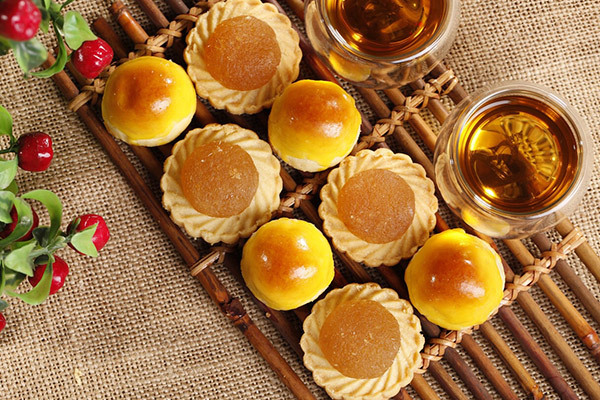 While you’re at KELE, you might also want to pick up a bottle of their famous Pineapple Tarts. 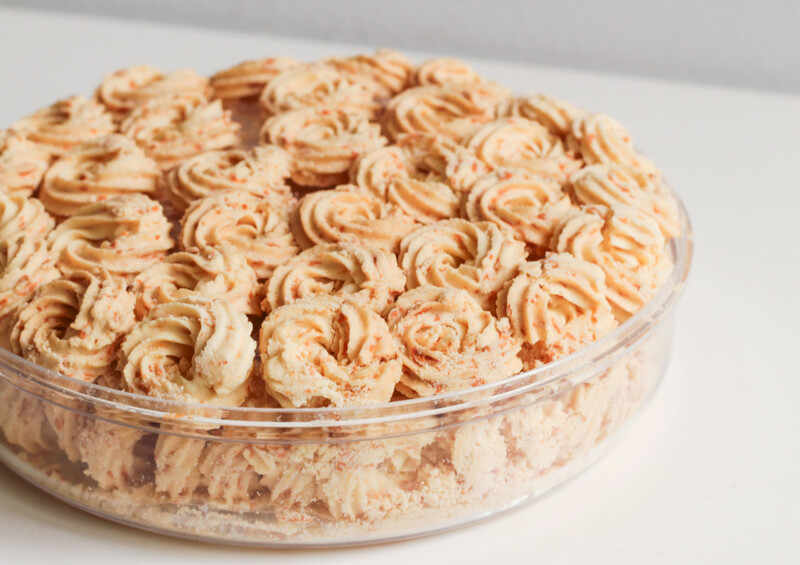 If you like the kind with a soft and buttery crust, these will be right up your alley. KELE has both the open-faced and ball-shaped Pineapple Tarts, but honestly, it’s a tough pick between the two. We say just buy both and regret the calories later. Aaaaand the award for Best Pineapple Tarts this year goes to…LE Cafe Confectionery & Pastry – which actually shouldn’t come as a surprise to many. You know how some places get complacent after receiving a lot of recognition, and the quality starts to drop? LE Cafe Confectionery & Pastry is definitely not one of them. Year after year, the store’s standards have always remained constant, and their famous Golf Ball Pineapple Tarts are no exception. Granted, the staff there can be a bit uh, brusque but hey, if you’ve got the chops to prove it then we’ve got nothing to say. 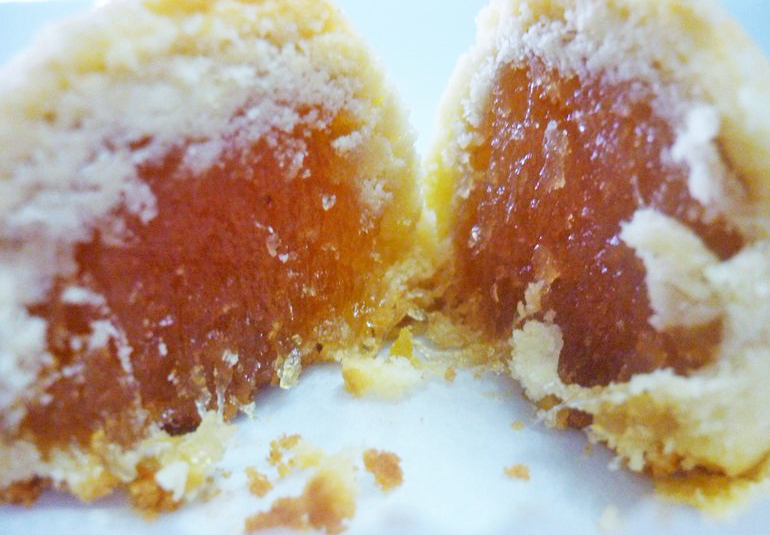 The thing with most Pineapple Tarts is that they tend to have too much crust, which sadly masks the taste of the pineapple jam. LE Cafe’s signature Golf Ball Pineapple Tarts are quite the opposite though – each glorious ball is stuffed generously with a sweet pineapple jam filling, complemented with a light and buttery crust. I don’t know how many calories there are apiece, but wow are they totally worth it. $15.80 per box | Available at Takashimaya Chinese New Year Fair (runs until 6 Feb). My Mum’s Cookies may not be as well-known as some of the other places on this list (I don’t even think they have a website? ), but their Red Prawn Crackers are something to write home about. Prawn Rolls or fried Prawn Crackers can be quite heavy on the stomach, but the ones from My Mum’s Cookies are surprisingly light yet fragrant. According to the sales person at their Takashimaya booth, the Red Prawn Crackers are roasted – which explains why they don’t leave that uncomfortable oily film in your mouth. While you’re at their Takashimaya booth, also check out the range of cookies they have for Chinese New Year – I mean, if a store is called My Mum’s Cookies, you know their cookies have to be a best-seller right? Some of the more interesting flavours include Nasi Lemak and Coconut Oat. $21 per box | Available at Takashimaya Chinese New Year Fair (runs until 6 Feb). Yep, for a limited time only you can now get some of your favourite snacks from popular Hong Kong bakery Kee Wah. While we found the Pineapple Tarts to be quite average (and pricey), the Egg Rolls were a real standout. 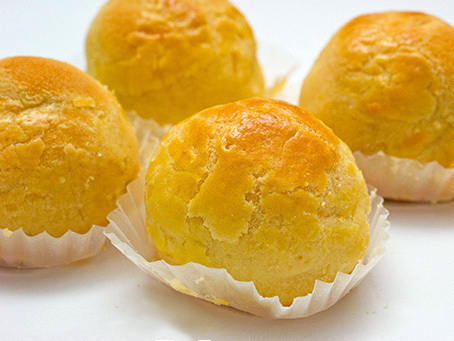 If there’s one thing Kee Wah Bakery is good at, it’s coffee or tea-flavoured butter biscuits. 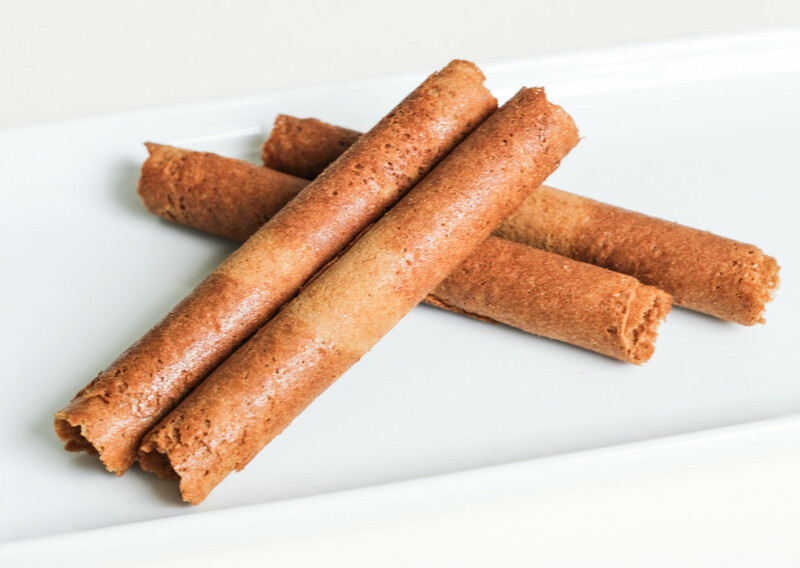 The Coffee Egg Roll is a nice alternative to traditional love letters, as the buttery biscuit has a fragrant coffee flavour. Texture-wise, the Egg Rolls are more crunchy than flaky (like traditional love letters) – but perhaps this is a good thing because it packs way more flavour that way. The Egg Rolls also come in Original (Butter) and Sesame flavours. $19 per box | Available at Takashimaya Chinese New Year Fair (runs until 6 Feb) and other locations here. Rasa Sayang is best known for their traditional Indonesian Kue Lapis, but their cookies and nuts are actually pretty good too. If you like savoury biscuits, try their Sago Cheese Biscuits. Each cookie is ever so delicate on the tongue, melting in your mouth almost instantly. The flavour is not too overpowering either – a light cheesiness that grows on you with every piece you eat (and be warned, you will have more than one). OK, I know this isn’t available in Singapore but Bak Kwa Scones still deserves a mention – especially since there doesn’t seem to be anything like that here. If you’re headed to Kuala Lumpur anytime soon, I insist you place an order for some of these bak kwa babies. 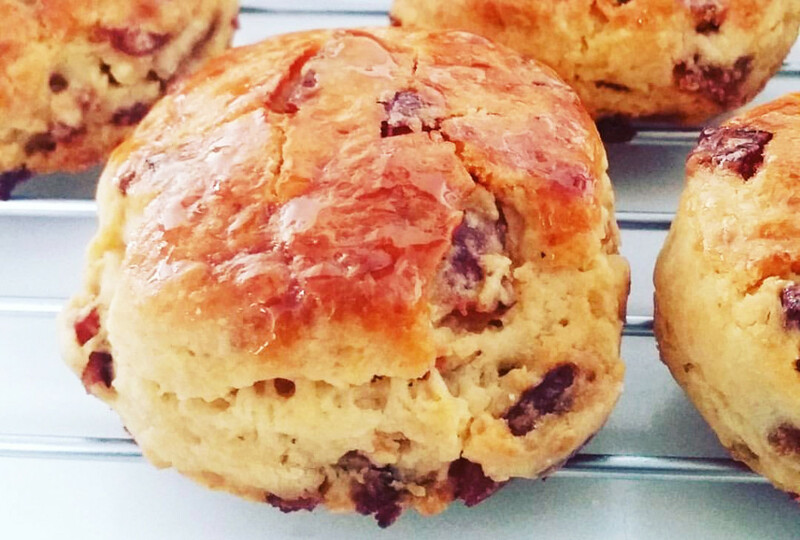 The buttery scones are peppered with salty bak kwa bits, and are just generally all around bomb diggity. The perfect combination of sweet and salty. If you’re not headed across the Causeway anytime soon, you can still satisfy your cravings with the Bak Kwa Cookies from Plain Vanilla Bakery. The cookies are not as buttery as the scones, but they still have that nice sweet and salty mix of flavours. So true! The pineapple tarts at Lecafe are definitey worth trying. Recently I’ve tried the pineapple tarts at Pineapple Tarts Singapore (http://pineappletarts.sg/) and that’s another delicious pineapple tarts. Definitely comparable to lecafe’s standard. Love pineapple tarts though!